The transition of China to one of the leading consumers of electronics and Smartphone from a manufacturer of hi-technology gadgets have not only captured the attention of global technological firms, but also helped in bringing some of the most influential events of industries in the country from all over the world for the first time. 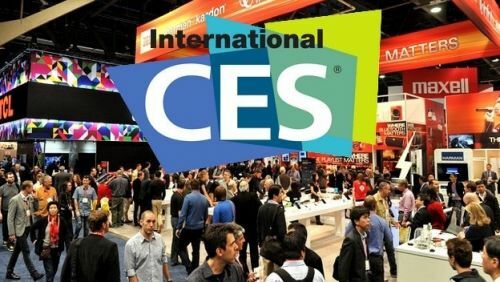 The CES (Consumer Electronics Show), is one of the most innovative and closely watched tech events in the world that held in Las Vegas every year, however this year, it will take place for the first time in Shanghai under the title of Consumer Electronics Show Asia in late May 2015. The most surprising thing about this event is that it will be the first time when CES will be held outside of the US, because the organizers of CEA (Consumer Electronics Association) aim of expanding the reach of their viewers and audience in Asia and worldwide. At past , several game changing items have been announced at CES events, such as games console Xbox 2001 by Microsoft, videocassette recorder 1970 by Sony, and earlier this year Android-based Smart Televisions by Google. In more recent years, the well-known tech firms of China, such as ZTE and Lenovo have also used CES for launching new products varying from smartphones to laptops. Not only CES has an ambition to reach manufacturers and consumers of China on their home turf, but Re/Code, which is the technology news site co-founded by Walt Mossber, an influential tech writer will also host an industry event in Asia, named as Code Conference/Asia in late November in Hong Kong. One of the top tech companies of China, Tencent is a founding partner of this event. The tickets for this event will go on sale for around US $ 3500 per head. Both the Re/Code and CES events come at a time when the tech firms of China are looking to market their products worldwide and expanding into overseas markets. For instance, Xiaomi, the domestic leading smartphone manufacturer of China, has been expanding into India aggressively in the recent months. The government of China is also keen to market the image of their as a home of innovative companies and technology. Recently, internet plus strategy was unveiled by Premier Li Keqiang for encouraging traditional manufacturers to make teams with internet firms for developing innovative services and products in the hopes that China can step from the world’s workshop to a top technology innovator.